In the first few years after Goenkaji came from Burma to teach in India, a course was arranged by the daughter-in-law of Mahatma Gandhi at Sevagram Ashram in which, fifteen of Gandhiji’s colleagues participated. They were very pleased with the course. After it was over, they took Goenkaji to meet Vinoba Bhave, a saintly person of India, who lived nearby. Vinoba Bhave arranged a course for teenagers. As with the many courses for children since then, this too was successful and he was very happy. Then he arranged for a course to be held in Gaya Jail. But the day before the course started, the jail officials informed Goenkaji would have to stay outside the prison. Goenkaji said, “This is not possible. Vipassana is a deep operation of the mind, and I am like a surgeon. I must be there twenty-four hours a day. Something might happen, and I am responsible. I must stay inside.” They insisted, “According to the prison rules, you cannot stay inside.” Goenkaji pleaded with them, “Then give me a prison sentence of ten days!” But they wouldn’t agree. Vinobaji wanted to make some other arrangements, but before he was able to do so, he passed away. Fortunately, a few years later, the then Home Secretary of Rajasthan, Ram Singh, came to a course in Jaipur. He was very keen. He said: “This must be tried with criminals!” He also heard about the challenge from Vinobha Bhave. He organized the first courses, which were held in the Jaipur Central Jail; the rules were amended to permit Goenkaji to stay inside the prison for the full ten days. So this was how the courses in prisons began. 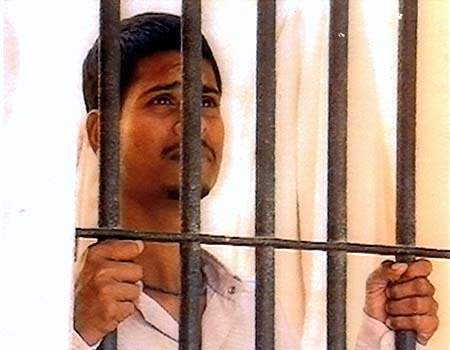 The first course of Vipassana conducted by Goenkaji in a prison was in l975 at the Central Jail of Rajasthan. When I was the Home Secretary of that state, I had myself undertaken a Vipassana course, and experienced a profound change in myself. On the fourth day of my course, I felt that Vipassana was a technique which could solve not only individual problems but also problems of society, and could bring reform in government as well. On the evening of the fourth day, I met Goenkaji and shared my reflections with him. I asked him whether this technique could be a tool to change the system in government. He agreed, and I immediately asked whether we could arrange to hold a course in a jail. He was very positive and told me he would come if I arranged it. This was a big challenge! The chains and locks were removed. Goenkaji was pleased. The course started. I sat close by. The IG stayed out of the hall but remained very close. My eyes were fixed on the "Four", heart throbbing and deep anxiety within! But every passing moment was a relief unbounded. As Goenkaji started chanting, his metta [loving kindness] was flowing profusely. The red-hot eyes of the criminals who were the cause of so much turmoil changed and their faces beamed; tears streamed down their cheeks. Tears rolled down my face also; it was a rare moment filled with joy after such high tension. The efficacy of Vipassana was established! Goenkaji's narration of Angulimala's story flashed in my mind. The story began nearly 30 years ago in India. The first Vipassana courses in jails were conducted by Goenkaji in 1975 and 1977 for 120 inmates at the maximum-security Central Jail in Jaipur at the invitation of Mr. Ram Singh, then Home Secretary to the Government of Rajasthan. A third course for senior police officers and jail officials was also held at the Police Academy in Jaipur. Despite these first successful courses, no further prison courses were taught for nearly 15 years. Then in 1990 and 1991, seven more prison courses were held in the states of Rajasthan and Gujarat. These courses were the subject of several sociological studies conducted by the Gujarat State Department of Education and the University of Rajasthan. The research indicated definite positive changes of attitude and behavior in the participants, demonstrating that Vipassana can help criminals become wholesome members of society. In November 1993, a ten-day course was conducted for 96 inmates and 23 jail staff at Tihar Jail in New Delhi, one of the largest jails in Asia, housing approximately 10,000 inmates. The following January, a second course for 300 inmates was conducted by six assistant teachers. 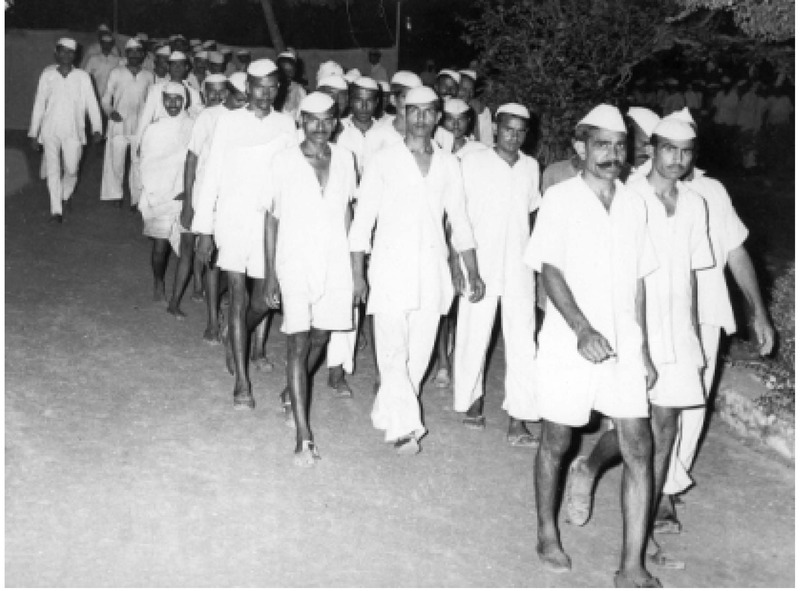 Three months later in April 1994, the largest Vipassana course held up to then was conducted by Goenkaji and ten assistant teachers for over 1,000 inmates. 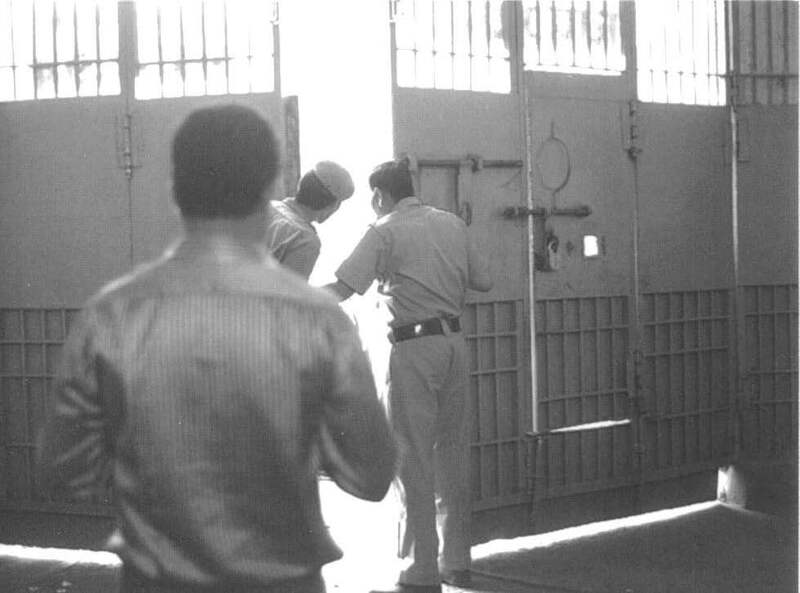 After its successful completion a permanent center for Vipassana was established inside the jail itself. Since then, ten-day Vipassana courses have been conducted twice monthly at Tihar Jail and less regularly at more than 15 other jails in India. In 1997, 75 Vipassana courses were conducted in Indian jails. At one point there were two permanent Vipassana centers in Indian jailsone at Tihar and the other at Nasik Jail in Maharashtra where Mohandas Gandhi had once been imprisoned. Because of administrative changes, the Vipassana program at Nasik Jail has been cancelled. However, in Delhi , Dhamma Tihar thrives and twenty-day courses are being held there on a regular basis. In 2001, there were a total of 39 jail courses in India with 1,420 inmates attending: 978 new and 442 old. 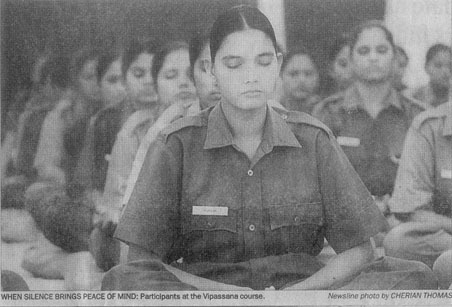 The sheer number of inmates who have benefited from Vipassana is nearly matched by the number of police cadets who have attended courses at the Police Training Academy in New Delhi. By 2001, 17 courses, some of them for as many as 1,265 police cadets at a time, had been conducted. With India as the exemplary leader in bringing Dhamma to prisoners, meditators began the work of spreading Vipassana into prisons around the world. Sometimes the efforts brought only one course, but the seed was sown. At other times programs continue with great success. First Vipassana course was conducted in Bogambara, a maximum security prison and the second-largest correctional facility, situated in the old city of Kandy in the Central Province in 2004 after consistent efforts of Vipassana meditators in Sri Lanka. In 2003, prison authorities granted leave to seven correctional officers to attend a 10-day Vipassana course at Dhamma Kuta Vipassana center. In view of their positive reports, the prison authorities requested a 10-day Vipassana course to be conducted in the prison. Bogambara was an all-male institution, with female prisoners brought to the site only for specific programs. To allow female inmates to learn Vipassana, the Commissioner of Prisons gave permission for them to be housed in Bogambara during the course. This was the first time such an arrangement had been permitted in the history of Sri Lanka. Strict conditions of segregation and security were provided, under the supervision of a female warden who had done a Vipassana course. In 2004, 46 inmates (38 males and 8 females) completed the course successfully. The inmates worked with unflagging effort and great sincerity from the start of the course. There were special requests from participants to inform families from whom they had been separated since being sent to prison. On the 10th day, the participants greeted fellow inmates and welcomed their family members. Many requested a follow up of one-day courses. A set of ten-day discourse tapes was donated to the prison, for use after group sittings. Meditators were given the opportunity to talk of the impact of their experience to the gathering, which included a former Chief Justice of Sri Lanka and a former Commissioner of Prisons. Sri Lanka’s Bureau of the Commissioner General of Rehabilitation introduced 10-day Vipassana meditation courses for residents at its Kandakadu drug treatment and rehabilitation center, in North Central Province. Initial findings show a strongly positive impact on course participants. 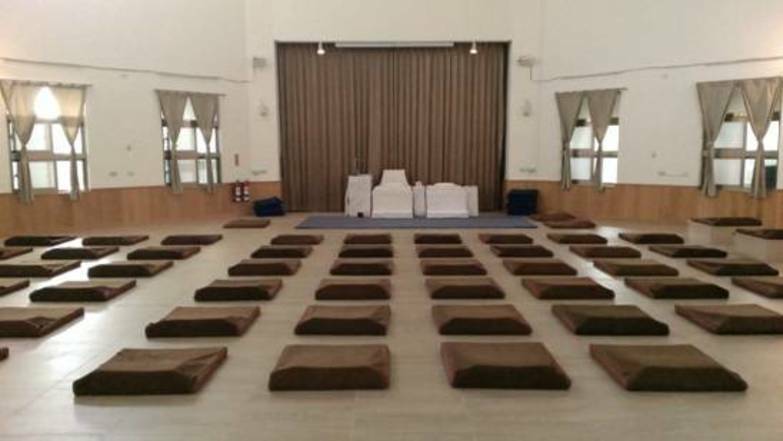 Daily group sittings at the center help the residents to continue meditating. Courses are held every two months, and a total of 13 courses have taken place till January 2018. Three other rehabilitation centers also held Vipassana courses in 2017. The first 10-day Vipassana course was successfully organised at Insein Central Prison, Yangon, Myanmar, in July 2008 and a center was established within the prison. There have been fifteen 10-day courses for men and four for women at Insein. 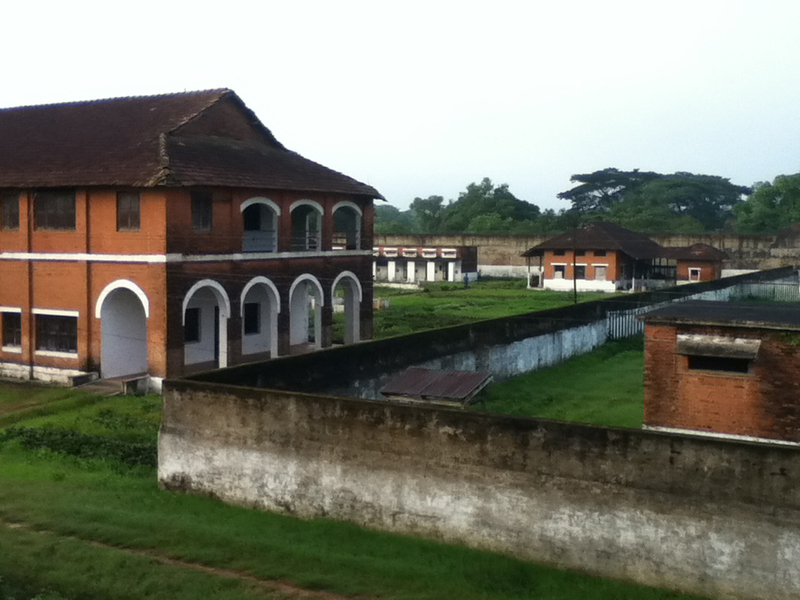 In addition, the prison has been the site for 7-day Vipassana courses for young people, as well as Satipatthana courses. Most of the teenage inmates reported positive benefits after learning meditation. They expressed gratitude for the teaching and resolved to meditate daily. 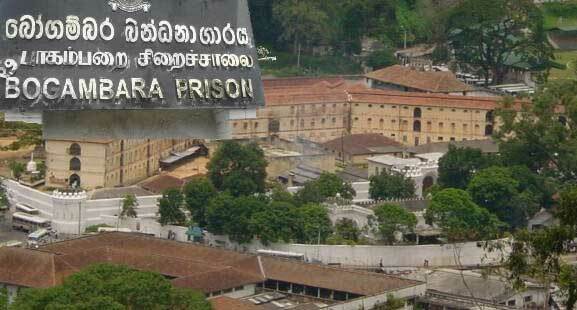 There was also an Anapana course held at the same prison on July 27, 2008, for 169 young male inmates. Most of the teenaged inmates reported positive benefits after attending the course. They expressed gratitude for the teaching and resolved to meditate daily. This Center was followed by two more permanent Vipassana centers in prisons. Dhamma Rakkhita, (Guardian of Dhamma) was established in Thayawaddi Prison in Bago division in 2009 and Dhamma Vimutti (Liberation by Dhamma), was established in Obo Jail, Mandalay in 2010. Since 2008, regular Vipassana courses are conducted at these centers benefiting thousands of inmates. Prison staff members have also attended the courses inside the prison as well the courses outside the prisons. At Insein Central Jail, a study of Vipassana meditators found improvements in their mental and physical health, as well as behavioral changes for the better. 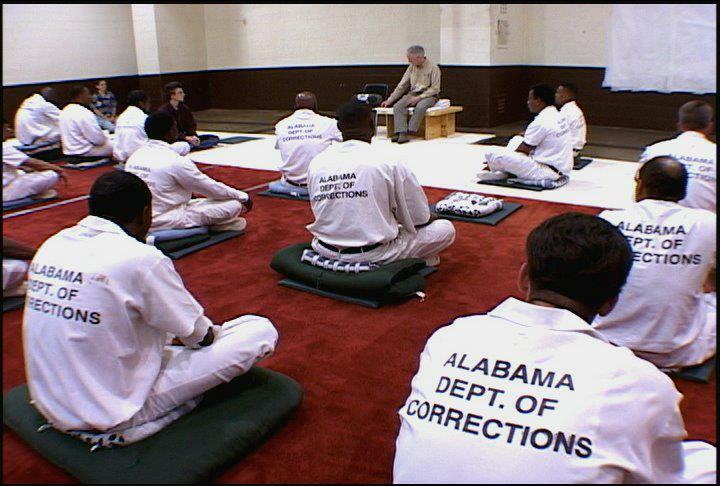 In general, inmates responded well and showed keen interest in Vipassana regardless of their previous background. In 1996, Goenkaji met with the Taiwanese Minister of Justice in Taiwan. As a result of this very brief meeting, a ten-day course was held at the Ming Te Branch Prison near Tainan on the southwestern coast of Taiwan. Ming Te Prison is an experimental drug rehabilitation institution situated in lush, wooded mountains, housing inmates convicted of narcotics use. It implements religious programs to help substance abusers in their recovery. In a move unprecedented in Taiwan penal history, Goenkaji was invited to give the closing address to the group of 24 prisoners attending the course. Since then, nothing further has developed in Taiwan. After an Inspector General from the Thai Department of Corrections read about the film, 'Doing Time, Doing Vipassana', she arranged for local assistant teachers to make a presentation to her staff. But after learning that the Vipassana volunteers would need to reside at the prison with the inmates, her staff tabled the matter. Then, five years later, an old student involved with one of Thailand’s television station arranged to have the film dubbed in Thai. The Director General of the Department of Corrections watched the video, and showed a keen interest in arranging a Vipassana a try in Thai prison. In May 2002, a Vipassana course was arranged at the Kolong Pai Prison in Sikhiu District, northeast of Bangkok. Forty-nine male drug offenders and two prison staff attended this course. A second course for 50 women at a separate women’s facility was held two months later. The Inspector General, who had originally showed an interest in arranging Vipassana courses, attended this course as a student, choosing to occupy a prison cell with basic toilet facilities just like the other students. At the end of this course, the Director General announced that both of these course sites would be turned into permanent Vipassana centers. However, since then the Department of Corrections underwent some changes and it was uncertain whether reform policies would remain in place. Twenty-eight female inmates serving sentences in the female only correctional facility in Mongolia successfully completed their first Vipassana course in August 2005. The course was conducted as a result of a direct order by the Minister of Justice, who was also the Speaker of the Mongolian Parliament. The encouraging results were broadcasted nationwide on the last day of the course. The second prison course for women in Mongolia was held in May 2007. There were 25 students who completed the course; seven of them were old students who had taken their first course at the prison two years earlier. At the end of the course, many students expressed responsibility and regret for crimes committed, mistakes made, and anger and resentment that they had suffered for many years. They also expressed gratitude and hope for their future. The prison superintendent promised that they would be given an opportunity to meditate at least once a day. 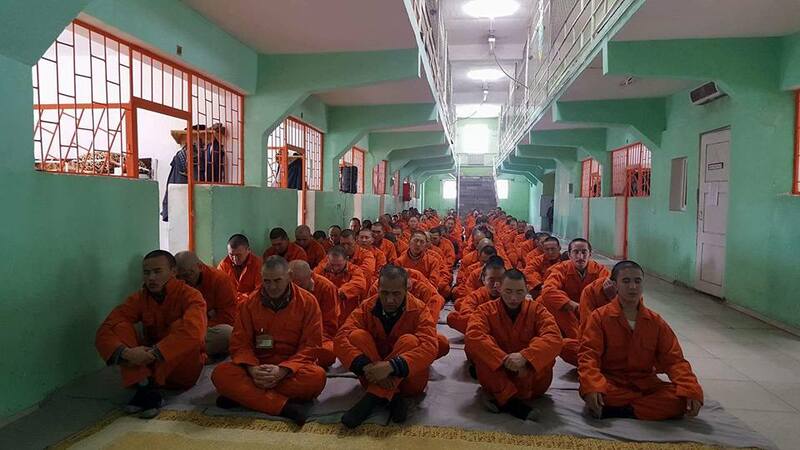 The Department of Justice sent representatives from four Mongolian men’s prisons to 10-day Vipassana courses, and requested for courses to be held in each of these facilities as soon as possible. The conducting Vipassana teacher returned to the prison for a follow-up group sitting two weeks later. It was attended by 23 students. They had been meditating regularly, were enthusiastic about the benefits, and requested for another course as soon as possible. The first Vipassana course was conducted in December 2006 at Israel’s Hermon Prison, a minimum-security rehabilitation facility located in a quiet area of the Lower Galilee, after almost a decade of the consistent efforts. Preparation of the course was started from September 2006 with series of orientation sessions and selection of a strong team to conduct the course. 13 inmates, including recovering addicts and repeated offenders from different religious backgrounds, participated in the course. The course was concluded successfully in spite of some initial hardships. To read the full story about the first course, please click here. After successful completion of the first course, the second course was arranged in Hermon Prison during April-May 2007. Some students from December 2006 course also attended the course for the second time. Organisers arranged the course based on the experience of the first course to ensure that students had a strongly supportive environment. The result was that the participants worked seriously and deeply to achieve real benefits. Non-meditators attending the closing ceremony were struck by the change in the students. The first Vipassana course in a prison in Europe was conducted in 1998, at Lancaster Castle Prison in U.K. This is possibly one of the places with the longest record of continuous use for incarceration in the world. The original buildings date back to about 1093. Dungeons still exist on the site. The 10-day Vipassana course took place after two officers attended Vipassana course and, encouraged by their own experience and the knowledge of prison courses being held in other countries, decided to explore the possibility of running a course in Lancaster. When assistant teachers first visited the prison, they had their doubts about conducting a course there. Nevertheless, the governor was inspired by the video of the Tihar jail courses. He insisted that he wanted to hold a course. Eventually a way was found to set up a small area as a self-contained compound for a course. Eight inmates attended the course. Despite inconveniences, they worked seriously and gained greatly from the experience. 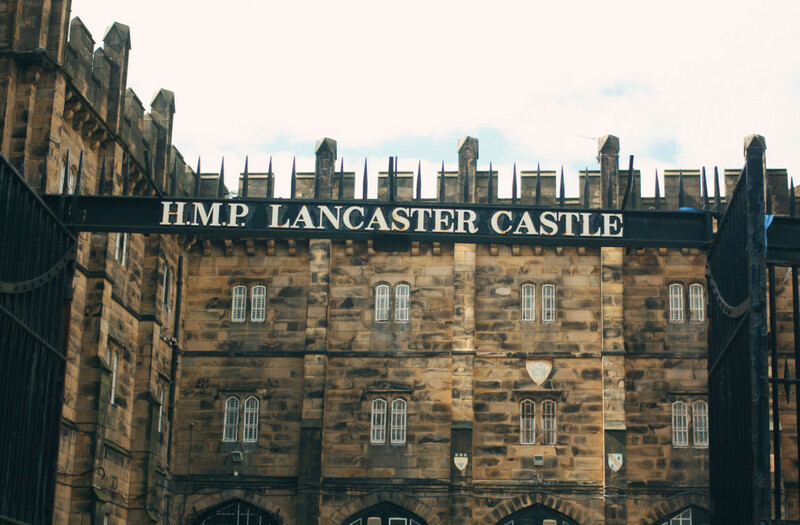 The Prison Journal Service, issue 127 reported that Lancasters Education Department had noted that there was a marked change for the better in personal discipline, willingness to learn and quality of output from the course participants. In August 2015, three years of patient efforts came to fruition when a Vipassana course took place at a low-security prison in Loughan House in Blacklion, County Cavan. Before the course was organized, two members of the Loughan House staff attended a 10-day Vipassana course. One of them served as liaison between the prison administration and the course management team. The course was concludes successfully. On the 10th Day, there was a small reception to congratulate the participants and hear about their experiences. Prison governor, other staff members, inmates and family members of the participants attended the reception. The success of the first course paved the way for future courses in Ireland. 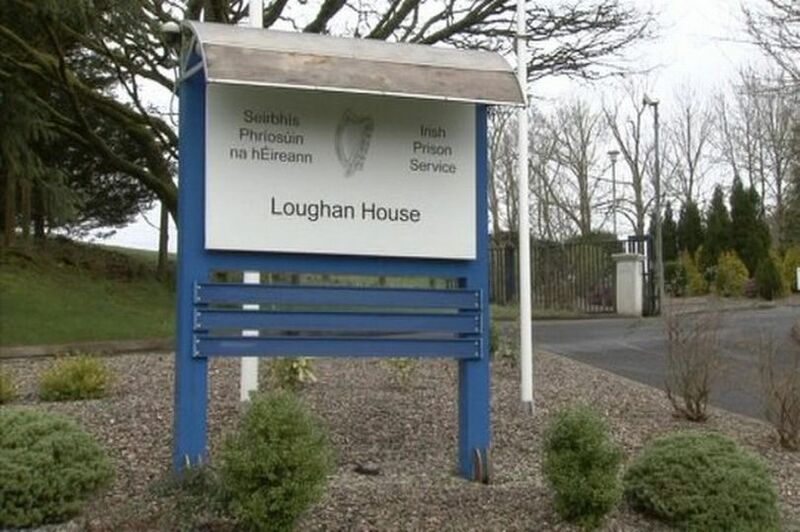 Meanwhile, group sittings continued at Loughan House, and several of the participating inmates were allowed leaves to join a three-day course in Dublin. The first 10-day course in Spain was conducted in 2003, at Can Brians Jail, high-security facility near Martorell, Barcelona. The story behind the approval for this course and its preparation is inspiring. About two years before start of a first course, a retired man attended his first 10-day Vipassana course at Dhamma Neru Vipassana Center. After getting benefitted by the technique, he was determined to introduce Vipassana into the prisons. He chose Can Brians prisons, because of its willingness to experiment with new ways of transforming prisoners, and was at the cutting edge of the Spanish prison service. The Director of the prison invited some trustees to make a presentation to prison staff and visiting professionals which was attended by 30 people, including a senior judge whose wife had previously attended a 10-day Vipassana course. The response was positive and four staff members and one male inmate attended a course at Dhamma Neru. After their course, a detailed report in Spanish, showing all the guidelines and requirements, was prepared and submitted to the government. During the eight weeks prior to the course, there were many preparations. Five orientation classes with interested inmates were held over a period of about a month. The separate facility within the prison that would be used for the course was checked and approved. Special permission from the government was required for the teacher and servers to stay at the prison for the duration of the course. As well, a system was needed for preparing course food in the prisons main kitchen. With well-thought-out plans in place and some last minute difficulties, the course started on time and was a great success. Eighteen students completed the course. They shared their experience with other prisoners, family and guests at a Day 11 reception. 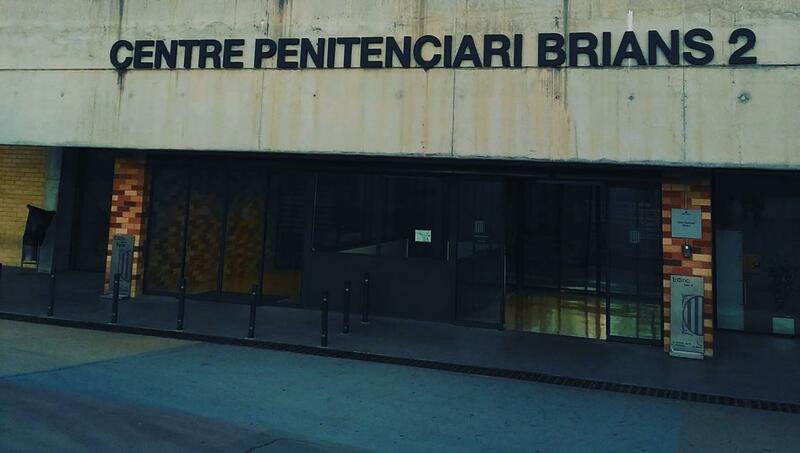 One student requested the teacher of the course to write an article about Vipassana for a prison magazine that is distributed to 7,000 inmates throughout Catalunya. The director was clearly struck by the change in the inmates. He arranged for daily sittings for them and requested for another course of 30 students in autumn 2003. Since 1999, Vipassana courses have been held in New Zealand at ‘Te Ihi Tu’ a rehabilitation center in New Plymouth, a city on the North Island of New Zealand, run by Maoris (the indigenous people of New Zealand), for Maori pre-release prisoners and parolees. ‘Te Ihi Tu’ is a private trust supported by the New Zealand Corrections Department. The trust focuses on traditional Maori culture and values to help the men cope better with life after release. Each year, ‘Te Ihi Tu’ Trust runs three months pre-release rehabilitation program, which starts with a ten-day Vipassana Meditation course. Vipassana Meditation was incorporated into the 'Te Ihi Tu' program in September 1999 after two staff members attended a ten-day Vipassana course at Dhamma Medini Vipassana Meditation Center, near Auckland. The other staff members became quickly convinced that Vipassana Meditation would be beneficial and decided to give it a trial. Since 1999, multiple Vipassana courses were held at 'Te Ihi Tu', making it an integral part of their program. 'Te Ihi Tu' staff noticed a deep change in attitude of prisoners after learning Vipassana, and the participants expressed the willingness to change for better in the farewell meeting at the end of the course. The entire emphasis at 'Te Ihi Tu' was on Maoris helping Maoris in a Maori setting. Despite this, the trust welcomed Vipassana as a key part of the program it offered – a remarkable recognition of the universality of the Dhamma. The King County North Rehabilitation Facility (NRF), Seattle, Washington, was the first correctional facility in North America to hold Vipassana course in 1997. 11 inmates successfully completed the course. San Francisco Jail #7, San Bruno, California was the second correctional facility and the first medium-security jail in the U.S. to undertake a Vipassana course. The first ten-day course was held in 2001 attended by 14 inmates. Old students provided critical support by providing daily hot lunches to augment the jail food that was quite limited. They also provided much support in setting up the course site, bringing in things needed during the course and arranging for concluding day reception. The first ten-day Vipassana course was held at W.E. Donaldson Correctional Facility, Bessemer, Alabama, a U.S. maximum-security facility and the location for the award-winning documentary film, “The Dhamma Brothers”, in January 2002 for 20 inmates. Alabama’s most violent and mentally unstable prisoners are incarcerated in this facility. After the successful first course, Hundreds of inmates at Donaldson have attended the Vipassana meditation program, currently the only one of its kind in North America. The state wanted to expand the program to its women’s prison. The prison has 24 death row cells, and about a third of the approximately 1,500 prisoners are serving life sentences with no chance of parole. Ongoing research being conducted by the University of Alabama and Stanford University has found that inmates who go through the course have a 20 percent reduction in disciplinary action. The Hamilton Aged and Infirmed Correctional Facility, a Level 4 medium-security medical prison in northwest Alabama conducted its first 10-day course on June 2, 2007. The course was held inside two chapel buildings that were separated from the main facility and included a small yard. The warden and psychologist were satisfied overall with the results. Supervising the courses in North America is the North American Vipassana Prison Trust. The Trust holds annual retreats to plan its activities and provide training. Since 1997, the North American Vipassana Prison Project has brought over numerous 10-day residential courses to more than hundreds of participants at five correctional facilities in North America. To read the full account of history and spread of Vipassana in USA, please click here. 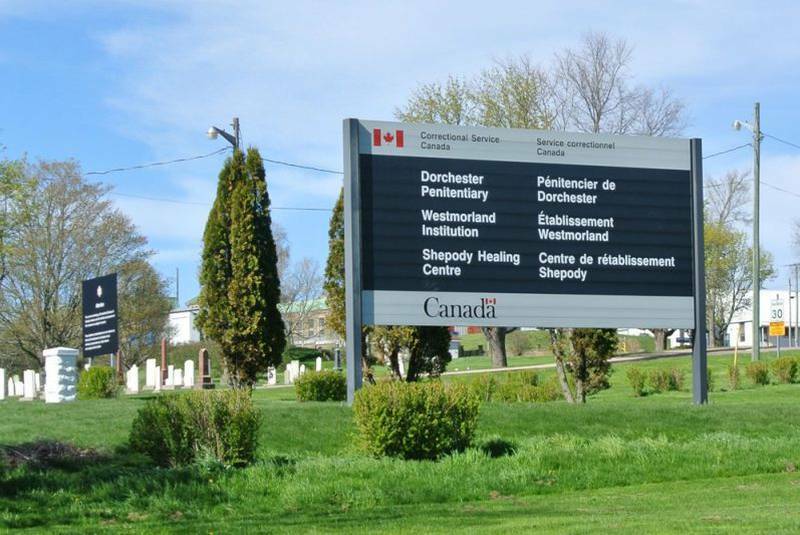 In fall 2011, Westmorland Institution in eastern Canada hosted the country’s first Vipassana meditation course to be held in a correctional facility. The groundwork for bringing Vipassana to Westmorland was laid when two members of the staff attended a 10-day course and participated in a workshop of the Vipassana Prison Trust. When they returned to their jobs, they enthusiastically told other staff members about their experience and the possibility of giving inmates the same opportunity. For the course site, the administration made available a self-contained facility within the institution. It contained a meeting room, a kitchen and dining area, private rooms for all participants, toilets and showers, and a laundry room. By prison standards, it was luxurious. Total 16 men participated in the course. Served by a small group of dedicated old students, the course participants worked hard and completed the course successfully. As always, the closing ceremony was moving. Each inmate spoke of his struggles during the course and his happiness at the end of the course. After the course, evening group sittings began at Westmorland for inmates. There were tentative plans for another 10-day course and several of the participants in this course expressed interest in joining it. To read the full account of first course conducted at Westmorland Institution, please click here. In June 2015, a judge of Canada’s Federal Court, while ruling on an appeal by a prison inmate who had been denied parole, recommended watching the film 'Doing Time, Doing Vipassana' for the prisoners. He further mentioned in obiter the significance of practice of Vipassana meditation in reducing the risk of reoffending and suggested to use the technique of Vipassana meditation in detention centers to lower the risk of crimes in a society. In July 2015, a juvenile detention center in the Canadian province of Manitoba hosted a one-day Anapana meditation workshop—the first of its kind offered under the auspices of the Vipassana Prison Trust for 11 young men aged 15 to 18. Inspite of challenges, all the participants meditated seriously. Afterwards, the young men talked about how Anapana helped them stay calm in what would normally be agitating circumstances—for example, a court appearance, a disagreement with staff or other residents, or a difficult phone conversation. To read the full account of this course, please click here. The first course was arranged in March 2003 at Penal de Santiaguito, Mexican States facility in Almoloya de Juarez. 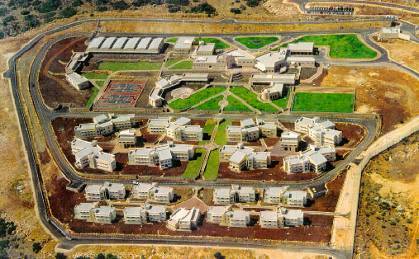 This facility, housing about 1,500 inmates, has been a model for Latin American prisons. The course actually took place in a small separate facility just in front of the main one. It was a totally independent space where each inmate had his own room and there was a large open walking area. Events leading to a course in Mexico began when an employee from the correctional facility attended a Vipassana course and informed her boss, General Director in charge of 20 facilities in the State of Mexico, about the course. After watching the film ‘Doing Time, Doing Vipassana’, General Director was inspired to organize a course in the prison. This was followed by a conference with a Vipassana teacher. Eventually, 12 people from different penal system departments joined a Vipassana course, as a critical prerequisite for holding a prison course. After two more meetings with the authorities, a date and site was finalized for the course. After interviewing more than 30 inmates (all within weeks of release), 18 inmates were chosen for the course. The group, which included murderers, kidnappers, robbers, and drug and arms dealers, worked seriously. There were few disturbances but none of the students left the course. After the course, all participants expressed their gratitude and their determination to change their lives. TV and press attended the reception on Day 11 and the next day reported the successful completion of the course. The authorities were pleased about the outcome of the course and wanted to establish a more continuous and permanent Vipassana program in the Almoloya facility. The first Vipassana course was conducted in March 2011 at Reclusión de Mujeres, a women‘s prison in Pereira, one of Colombia‘s most violent cities. The institution houses 252 adults as well as their children below the age of 3. One social worker suggested to conduct a Vipassana course in this prison and the prison director agreed. After a staff member attended a 10-day Vipassana course, the planning work began. The course site was a self-contained area within the facility, containing a meditation hall with adjacent accommodation and washrooms. Necessary arrangements were made for smooth conduct of the course. Inspite of various challenges and hardships, thirty-five women completed the course. On the concluding day, many of them spoke about the course and the powerful impact it had on them. A group of Vipassana meditators from a near by city, continued to meditate with them regularly. The changes witnessed by the director of the women’s prison in the participants of Reclusión de Mujeres prison, convinced her of the value of the program, and later she attended a 10 day Vipassana course herself. In 2015, a course was arranged in the prison in Manizales, a medium-security prison complex near the city of Manizales and it was attended by 73 inmates. The course was completed successfully in Inspite of severe weather storm and other hardships. To read the full account of the course, please click here.